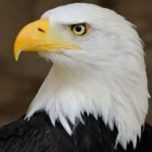 Get an up-close view and learn the fascinating story of the majestic Bald Eagle on a 1.5 hour tour aboard RiverQuest with heated cabin and ample deck area for viewing. Excursions depart a mere 50 yards from our front door at the Connecticut River Museum. Boat trips on Wednesdays, Fridays, Saturdays & Sundays. With ticket purchase get a free pass to the museum. For tickets visit ctriverquest.com or view our Winter Adventure Package.